Choose between Peroni, Budweiser, Estrella, Stells or Heineken. 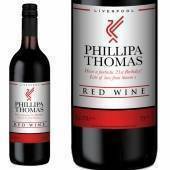 Do you know a big Liverpool fan who loves a beer?! I bet you know a few right? 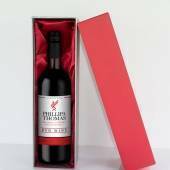 Well we might just have the perfect Liverpool beer gift right here! 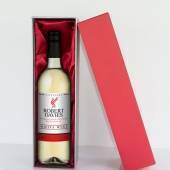 Their name on their favourite bottle of beer personalised with a unique message. 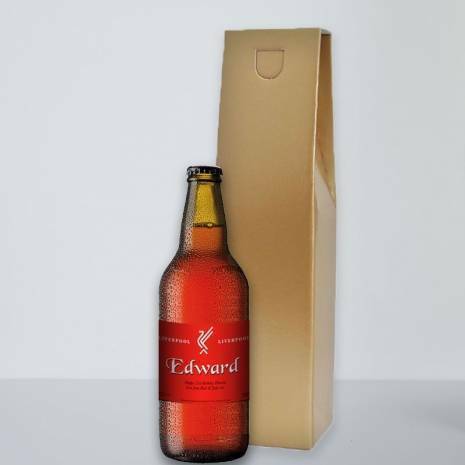 Personalised Liverpool Beer Gift For Any Occasion - Choose your Beer! 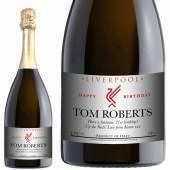 Do you know a big Liverpool fan who loves a beer?! I bet you know a few right? 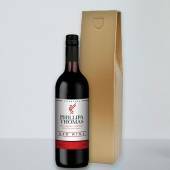 Well we might just have the perfect Liverpool beer gift right here! 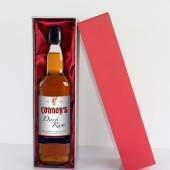 Their name on their favourite bottle of beer personalised with a unique message. Personalise their Liverpool Beer using our live label preview. Bursting with flavour and history, they are sure to enjoy the Liverpool match while enjoying their own Liverpool Beer. 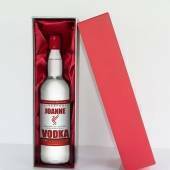 This has to be the ultimate gift for the Liverpool lover in your life – bestow 'em with a personalised bottle of either Peroni, Stella, Estrella, Heineken or Budweiser - with their name and a personal message emblazoned on the label! 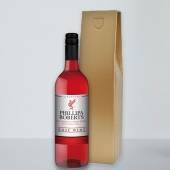 This personalised Liverpool beer gift comes complete with a FREE Gold gift box and FREE gift label which you can personalise with up to 30 words. Choose between 500ml Peroni, Budweiser, Stella, Heineken or Estrella. 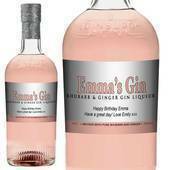 The label on this gift can be personalised with ANY NAME, ANY OCCASION and a PERSONAL MESSAGE. 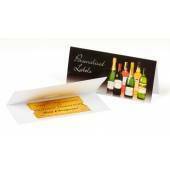 Includes FREE Gold gift box and FREE gift label which can be personalised with a message up to 30 words. 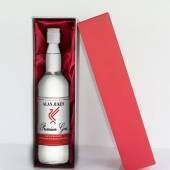 Delivery for this product as stated below. Select your delivery method at checkout. 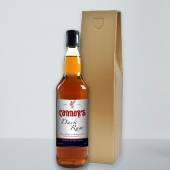 Bottle Labels are sent 1st class Royal Mail. 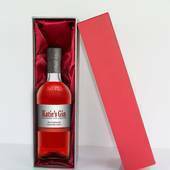 Alcohol gifts sent Royal Mail 2nd class parcel post. 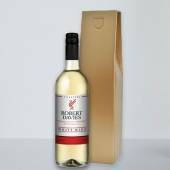 Bottle Labels are sent Royal Mail Special Delivery. Tracked and signed. 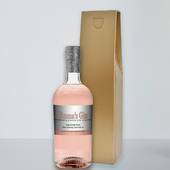 Alcohol gifts are sent via APC courier. Tracked and signed. Next business day. 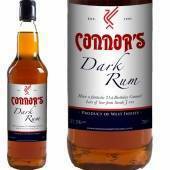 Offered on certain products only in our next day delivery category here. Please note all times are quoted in business days which are Monday - Friday excluding bank holidays. A day is defined as a working day - Monday to Friday. 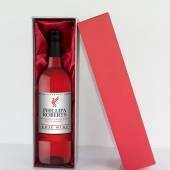 Next day delivery where offered only if order received before 1pm. PLEASE NOTE: Times are not guaranteed for standard delivery, they are approximate. To be guaranteed to have your item delivered on time then we strongly suggest our UK Priority Delivery method. My hubby was made up with this! 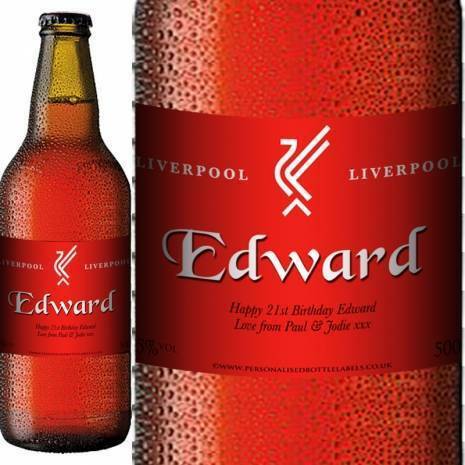 His favourite team, his favourite beer, all with his name on! Amazing! Quick delivery too! 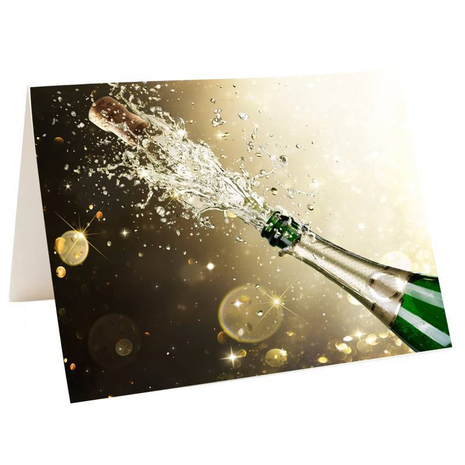 "Great service, quick delivery and excellent quality! 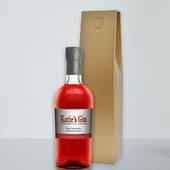 Would highly recommend"
"Very good.Looked excellent on a bottle of brandy." "Bought 2 bottles, one for a 50th birthday present and one for hubby’s birthday. Both were extremely happy at the bottles with their names on and they went down very well - only thing is because they are so good neither want to open..."
"Ordered the peroni beer, great product and delivered on time. Came with a gift bag so was an instant gift and was very well received. Would highly recommend." 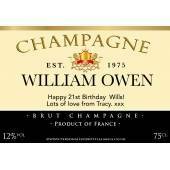 "Great service, quick delivery and excellent quality! Would highly recommend "
"Great service, fast delivery and really good looking. Heartily recommended." "Excellent service, quality product with fast delivery. 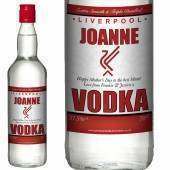 Would highly recommend "
"Very good quality. Exactly what I ordered. Delivery very fast also. Would highly recommend and will definitely order from this site again. " "Excellent service. Quality products worth every penny. I have used a few these a few times and i will defently be keep using them in the future. " 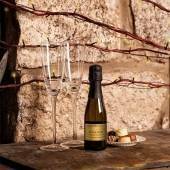 "Easy to do, reasonably priced, looks really good and quick delivery. No more needs said." 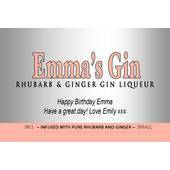 "Absolutely love our labels, using them for our business and customers love them! " 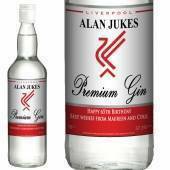 "Good range of shapes and designs to suit all bottles. 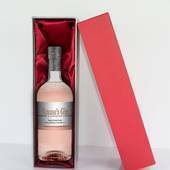 Arrived on time and great quality "
"Ordered a personalised vodka bottle in presentation box, the recipient was delighted with their gift, and couldn't wait to show everyone, would use them again"
"Very pleased with purchase and arrived in time , will definitely order again "
"Great labels. Look well and easy to apply. 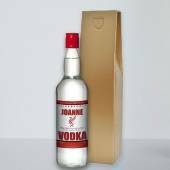 Brightens up a bottle with the added personalisation. 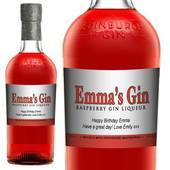 Would recommend"
"I was very happy with the labeled gift, and will be ordering in future." 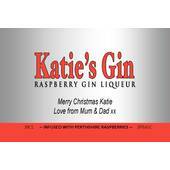 "Ordered labels to make a gift special . Quality print & photo. Website easy to use. Swift delivery. Definitely use again. Very pleased." 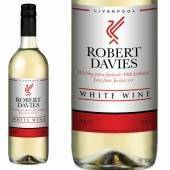 "Good range of label options and well priced. Item arrived within timescale expected. 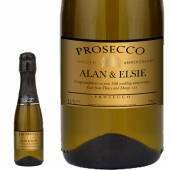 Looked great on the bottle of Prosecco." 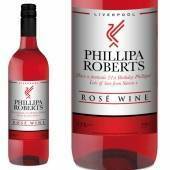 "Brilliant product personalised bottle labe looks great ????. Very happy with my purchase. 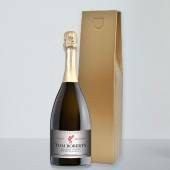 Beautifully presented in a gold bottle box . Quick delivery . Helpful customer service. Will definitely order from here again. Who doesn’t like the personal..."
"Great service. 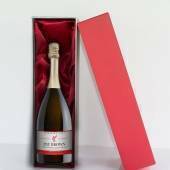 Really easy to order on website and quick delivery. Will definitely use again."